at Within the last year I have seen numerous homeschool people that I follow talk about Drive Thru History®. I had no idea what it was but I was definitely curious! I know I have opened the site up quite a few times since then and just didn’t know which one to start with first! 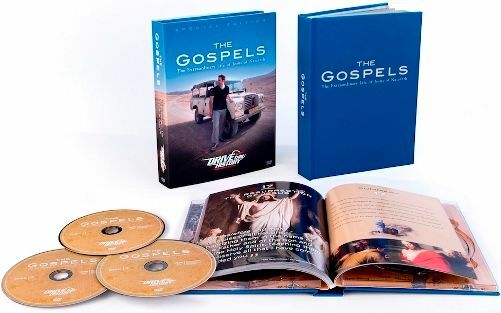 We recently got Drive Thru History® – “The Gospels”. I am so very glad we did! What you see in the picture is what you get. They definitely don’t skimp on packaging! The book cover is very thick and good quality. On the inside covers are the dvd holders so it makes sense that the book cover has to be thick, but I was still very impressed! The dvd holders are great in that they aren’t the flimsy ones that you have to worry about the dvd’s falling out all the time. The included book reminds me of a nice quality photo book that you can order. The pages aren’t thin, but they aren’t extremely thick either, and I think it is perfect. The pictures are fantastic throughout this book! There are portrait style photos, photos of places traveled and pictures of artwork along the way. My favorite is a mosaic picture that includes different photos to make up a portrait of Jesus. I love that! What I enjoy about this particular Drive Thru History® is that Dave Stotts travels to all of these places that are mentioned in the Bible. I am doubtful that we will ever be able to go and see all of these locations so to actually view them while at the same time telling these stories in the Bible sometimes gives me goosebumps. We decided to do this as a sort of family Bible study. Once a week we would watch an episode and then work on the corresponding section in the book. The episodes aren’t very long at all, like a typical tv show, just 30 minutes! Each section in the book for an episode starts off with a quote, a summary and then five discussion questions. Also there is some suggested Bible reading which isn’t very intensive at all. You could do it all in one day or spread it out over the week. There is also a ‘side road’ section that gives just another tidbit of information for that week. The discussion questions are really thoughtful questions. Not in the way that you really have to give an answer on how you feel about something. None of them really take too much time to answer, but they really help in making sure you understand the episode that you just watched. Everything in the book ties in so well with the dvd episode! It really makes for a complete study! Dave Stotts is a great narrator on this series. He doesn’t just stand there and talk the whole episode. He physically goes to various locations that are mentioned in the Bible! He jokes around too, which is always nice. 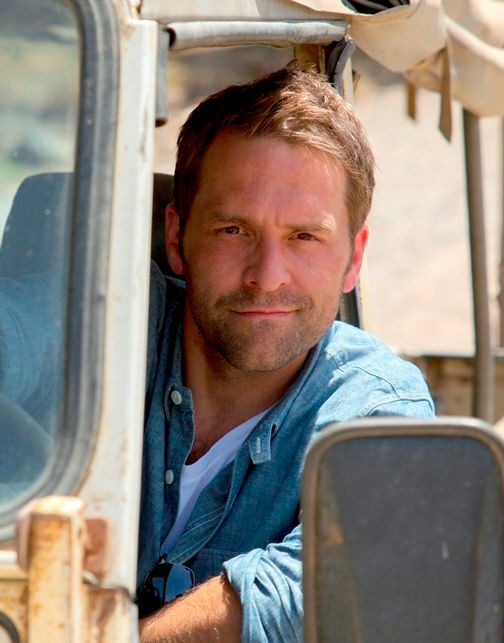 I am crushing on the vehicle that he drives around. 🙂 He said he is only borrowing it though, so..I guess I am out of luck. I mean, honestly, I am pretty sure I was out of luck anyway…ha! My kids also enjoyed the fact that the questions didn’t really put them on the spot. There weren’t a lot of touchy feely type questions. Like I mentioned it was basically asking questions about things from the episode. We haven’t yet finished all of the dvd’s yet, but I am excited to see what else is in store for us. Make sure you check out the website (Drive Thru History® – “The Gospels”) where you can see a trailer as well as find out how to see a free episode! If you want to see what others thought, and how they used, this, feel free to click on the banner below! As mentioned earlier the Fluidic can be found in both variant petrol and diesel engine. the least 43 correctly to pass.